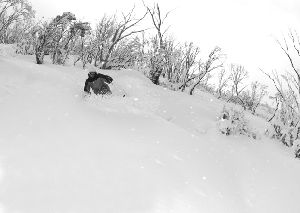 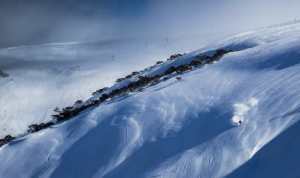 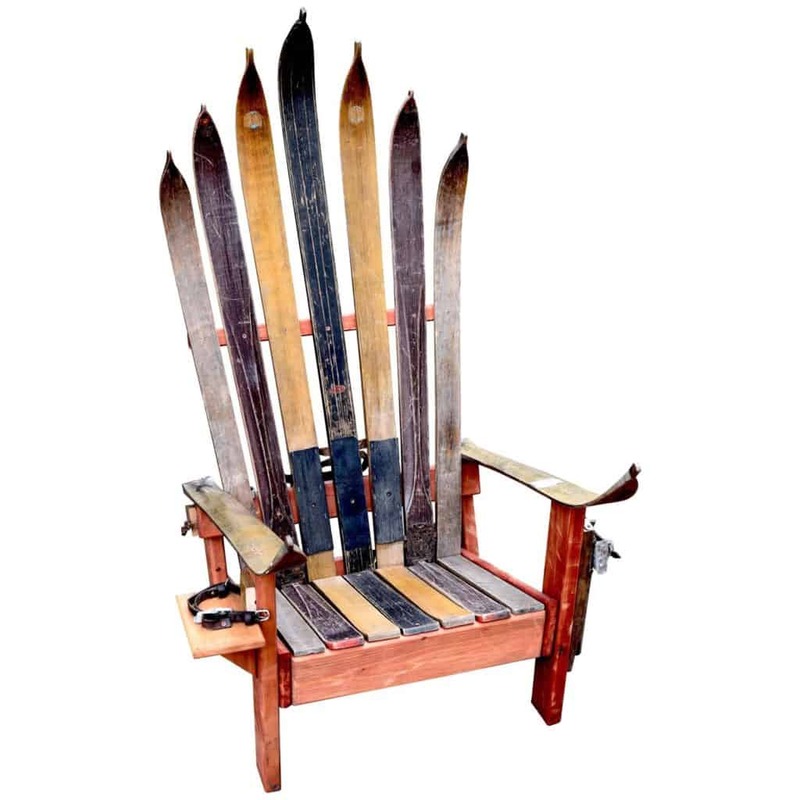 The ski industry thrives off bigger and better and not just when it comes to mountains and snow. 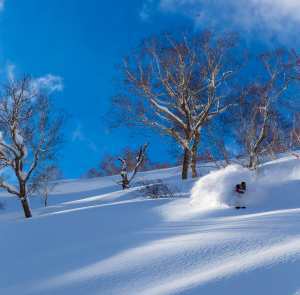 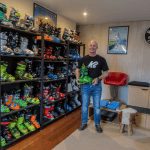 According to a recent report by market research analysts from Technavio, the global ski equipment market is set to exceed USD $5.7 billion by 2020. 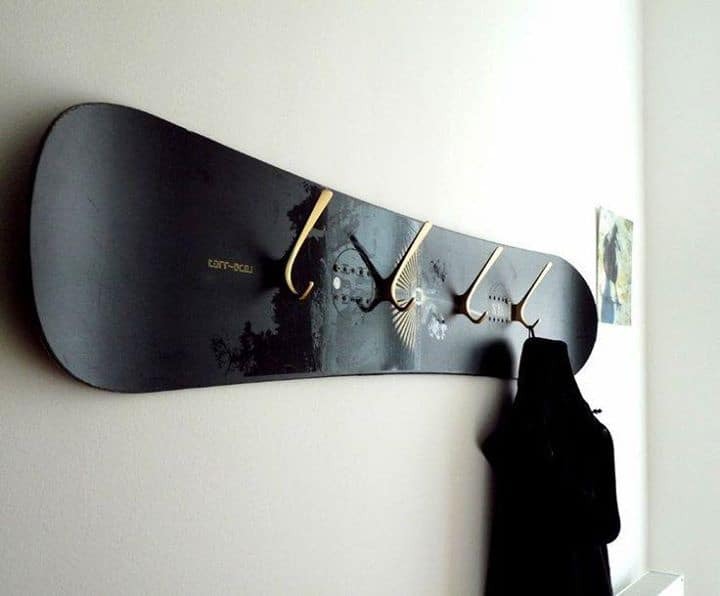 If you’ve looked at purchasing your own skis or board in recent years, no doubt you’ve come across some of the verbose brainchildren of ski marketers, such as ‘Carbon flax weave’, ‘Maple Macroblock’, ‘Amphibio 4D Technology’, ‘HRZN Tech’, ‘TubeLite Wood Core’, ‘Hollowtech 2.0’ or even ‘Micro-cap Sandwich Construction’ – all genuine descriptions of the technology inside 2018-19 skis. 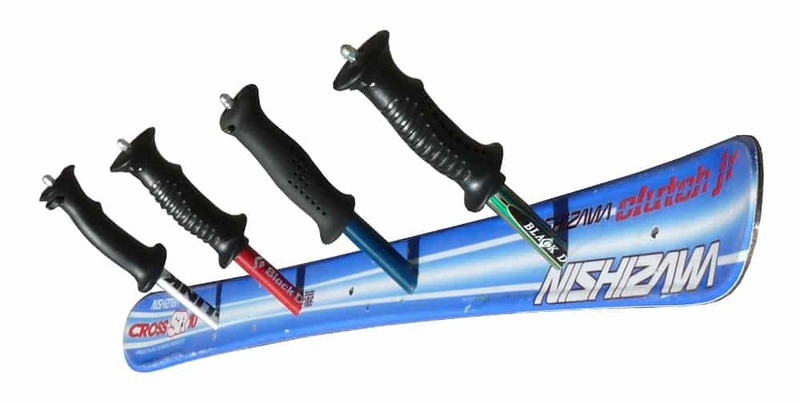 Who knows, maybe you’ve even been persuaded into purchasing a new pair of skis or a board with ‘TNT Technology’ and ‘SST Sidewalls.’ I know I’ve been a victim of such superlatives, but all jokes aside, there does come a time when your 1992 Dynastar Assault’s just aren’t cutting it anymore. 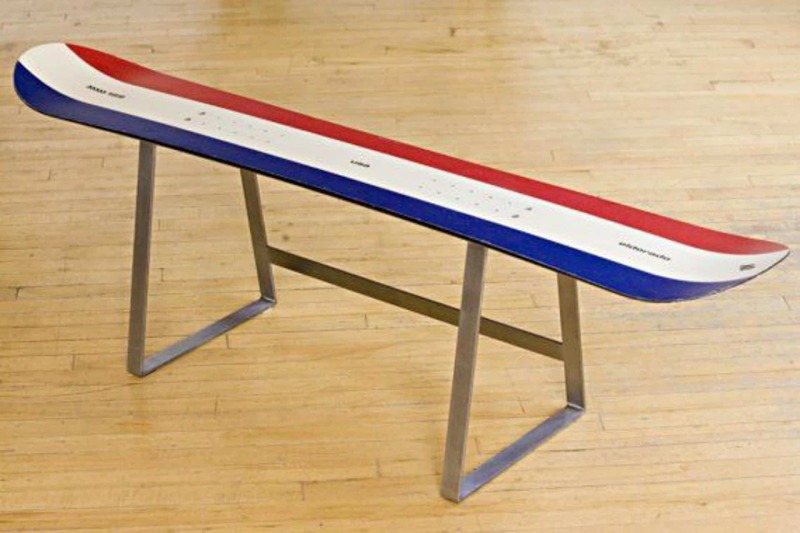 If you’ve spent enough time in a ski town, or any time really, you’ll be familiar with the concept of a shot ski… For better or worse. 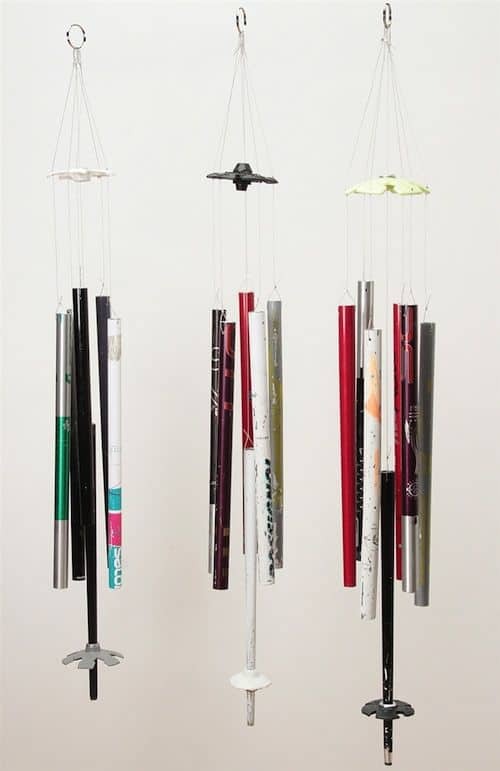 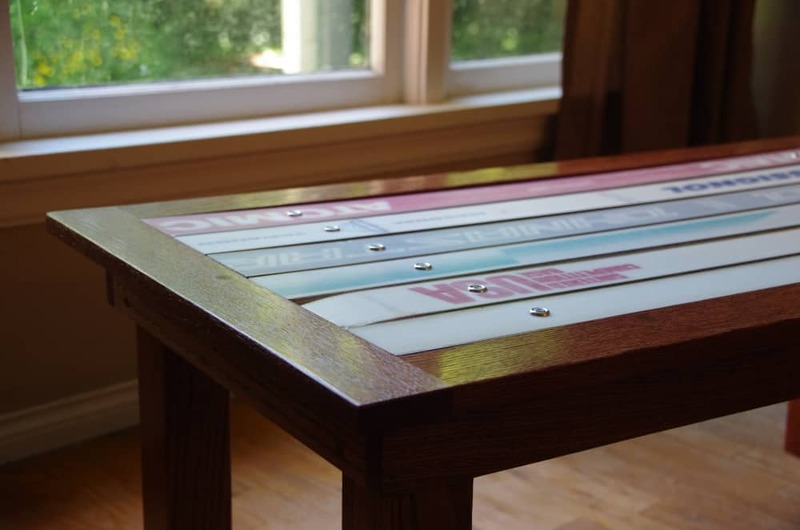 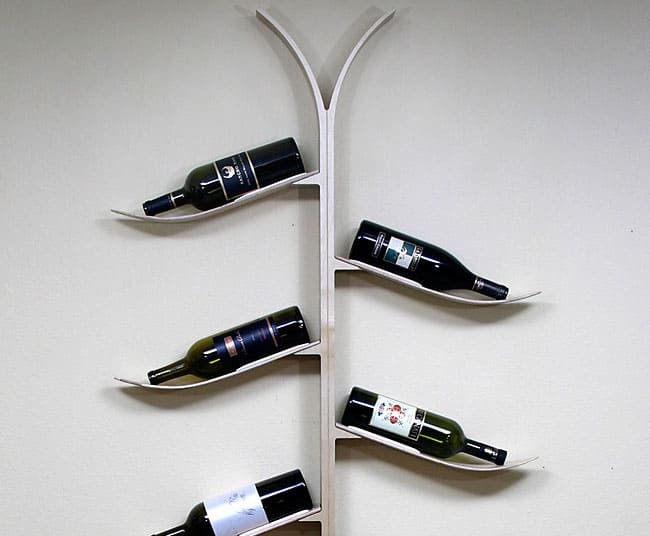 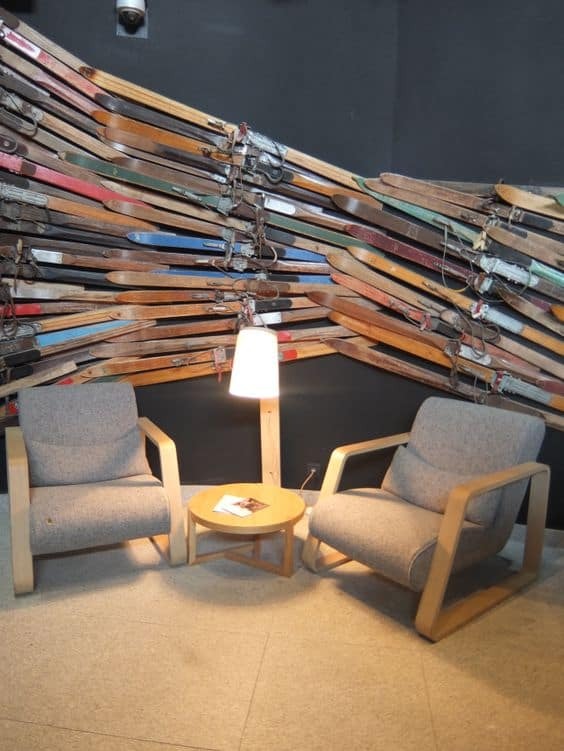 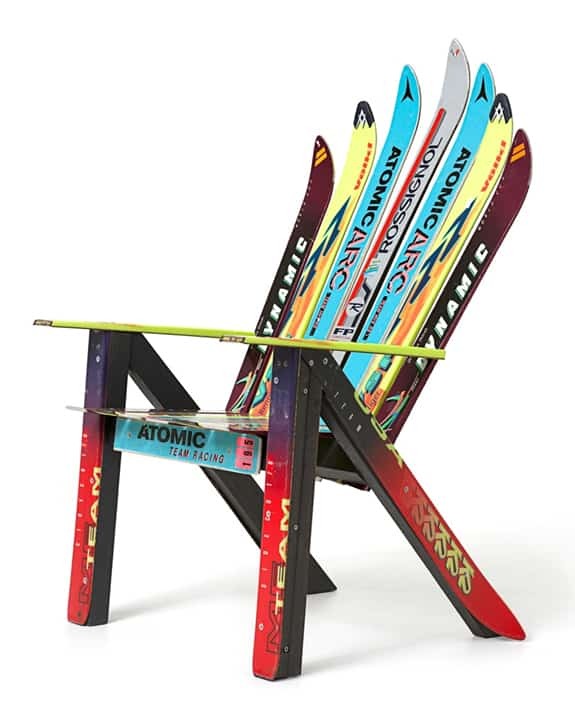 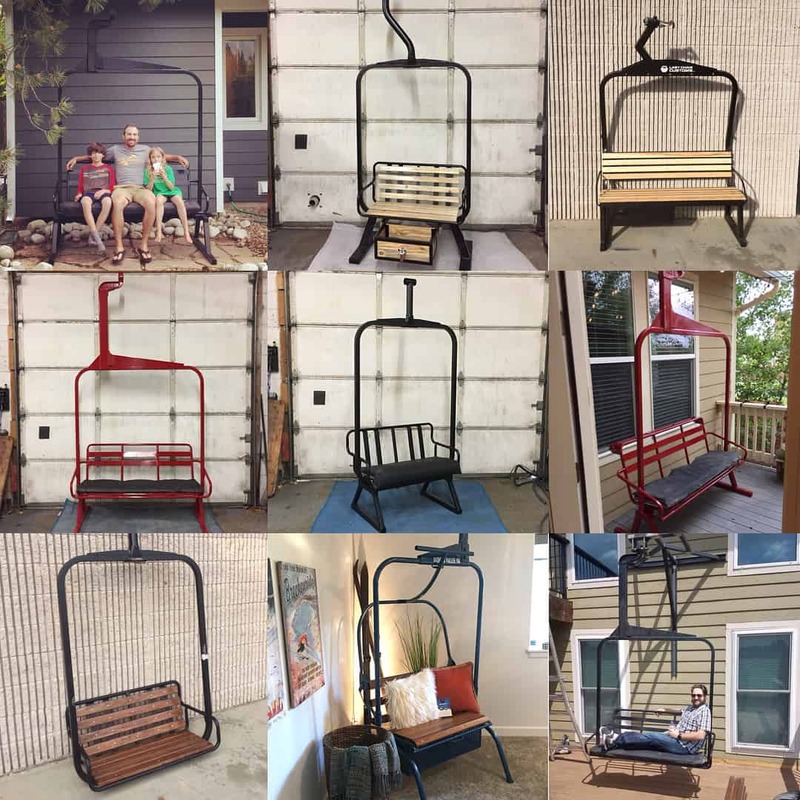 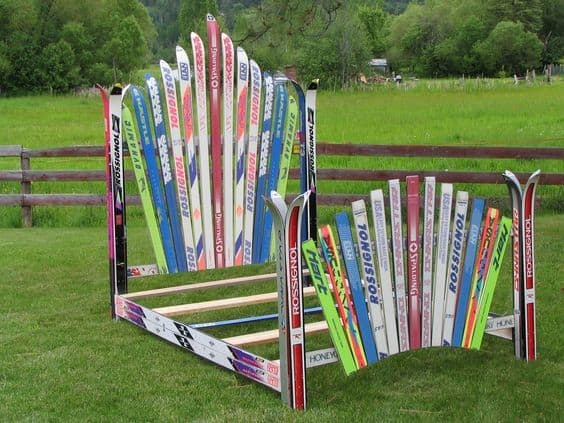 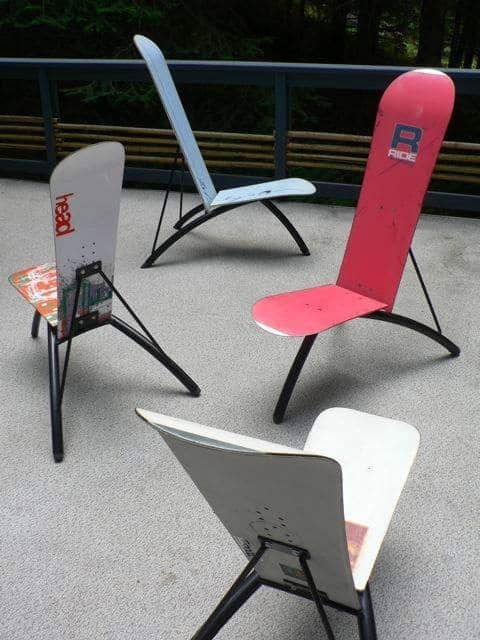 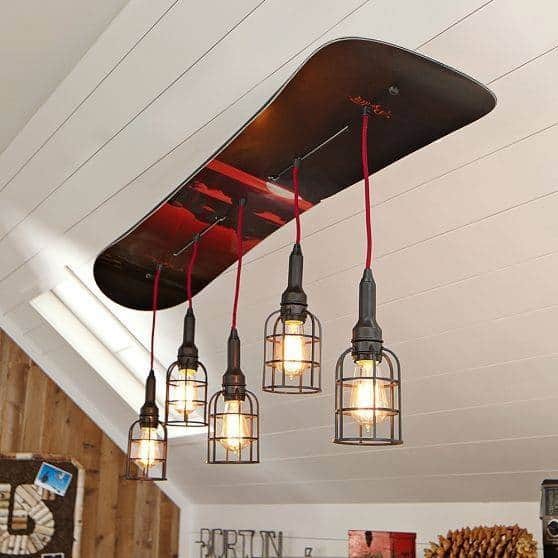 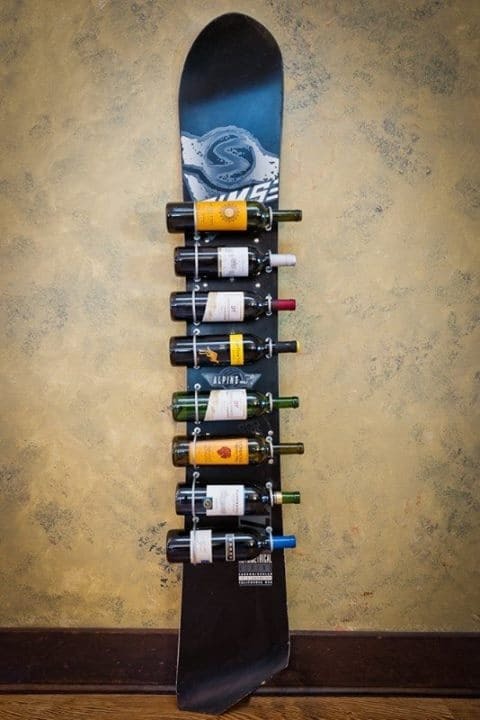 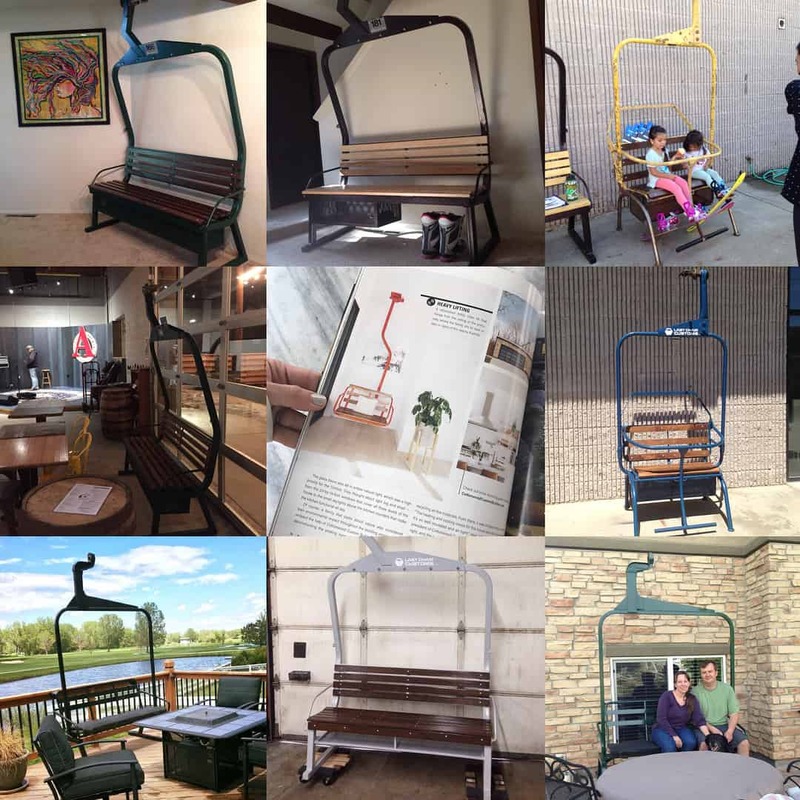 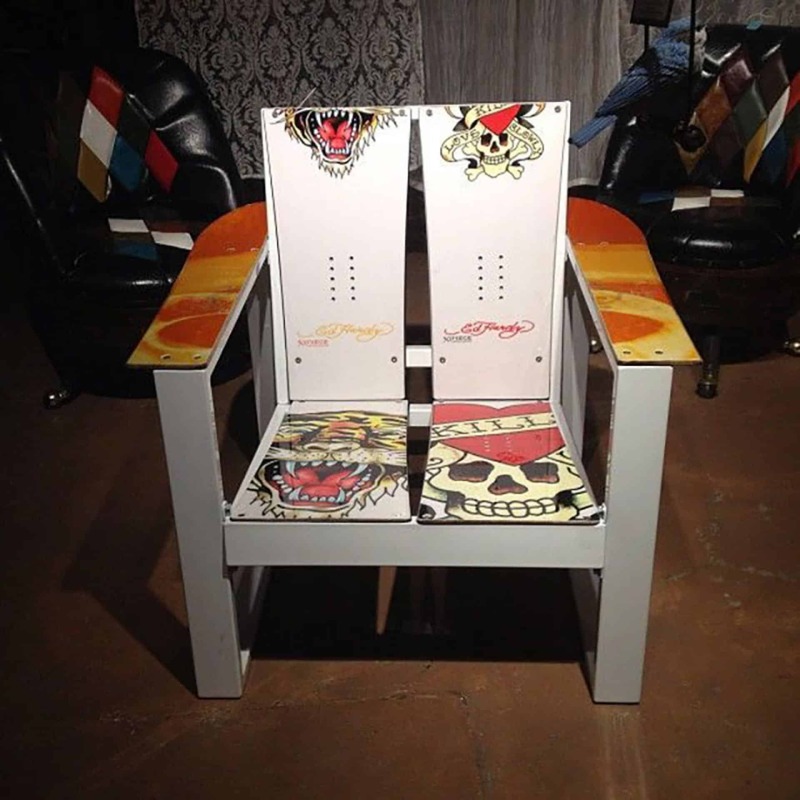 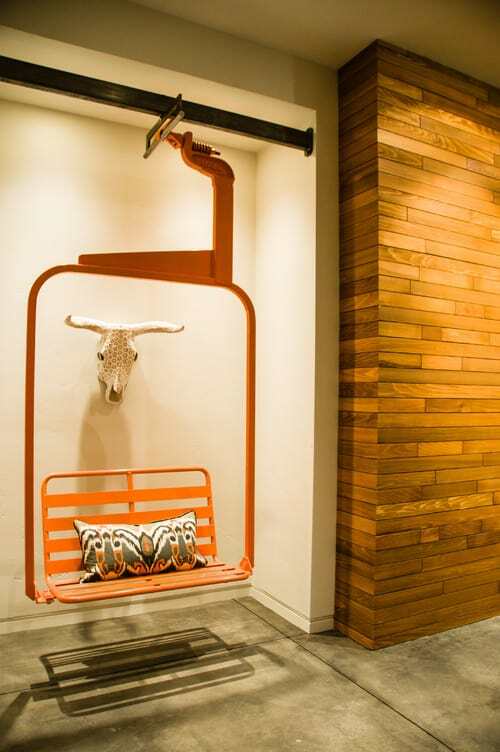 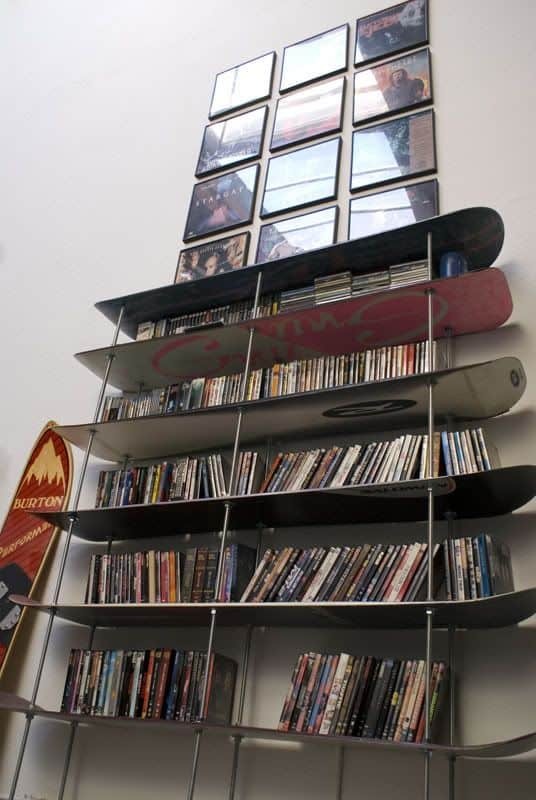 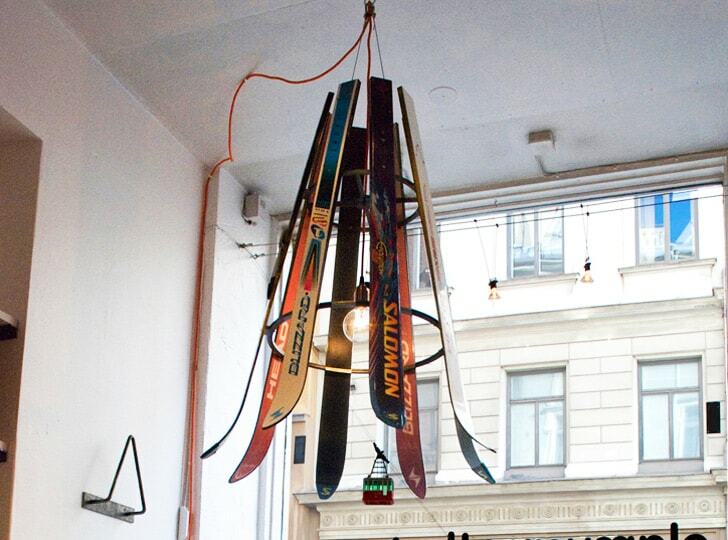 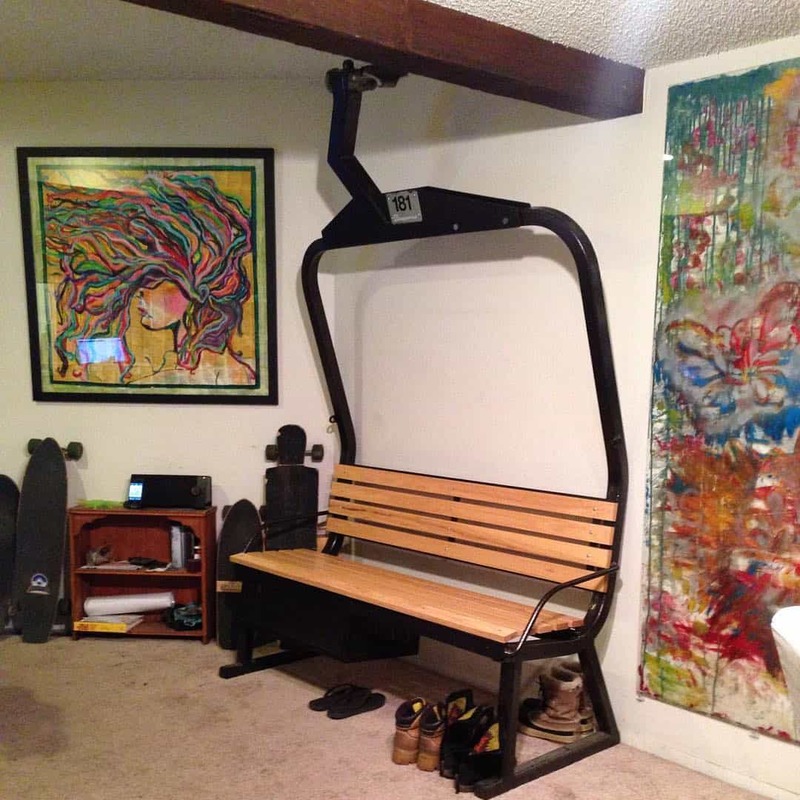 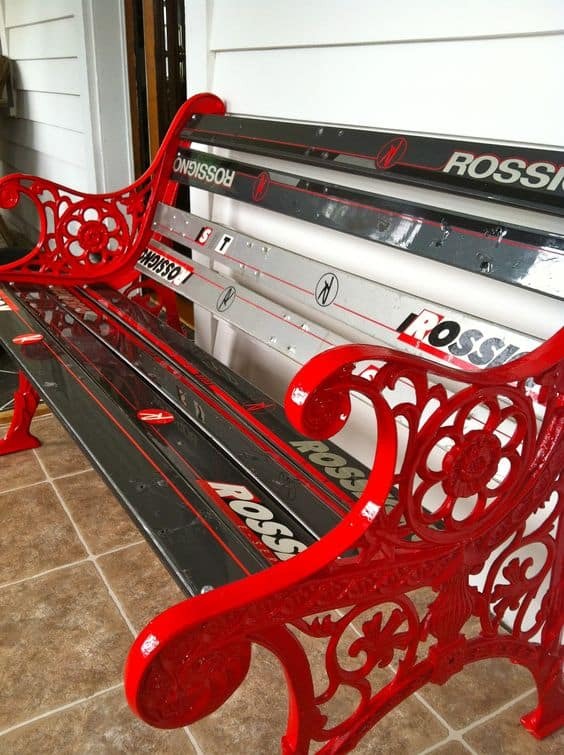 But there are myriad more ways you can repurpose your old skis and boards and reminisce on turns made for years to come. 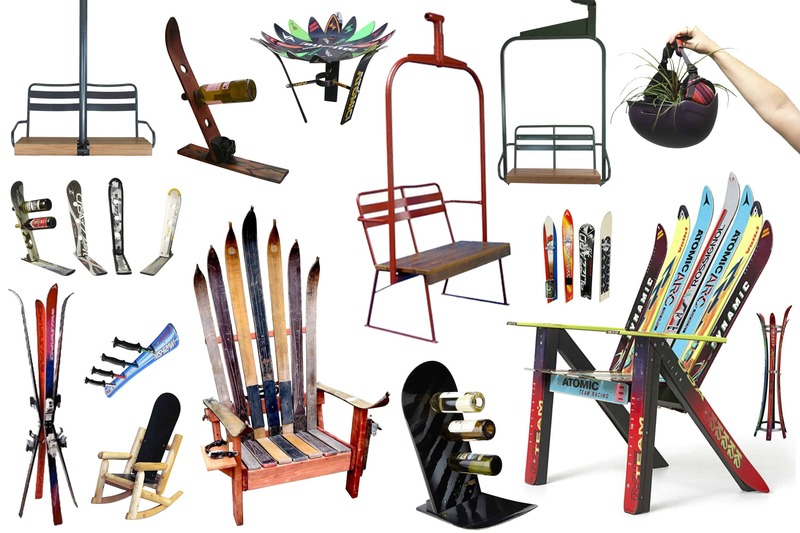 From the good, the bad and the ugly, here is a selection of 30 upcycled skis and snowboards to get your creative juices flowing! 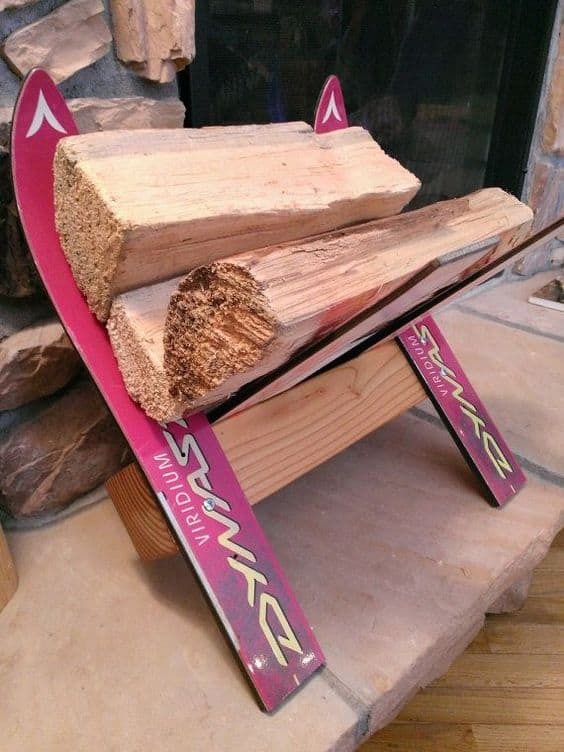 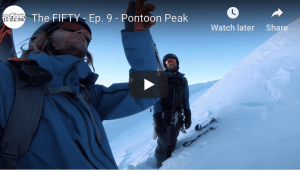 It turns out one skier’s trash can be another skier’s treasure! 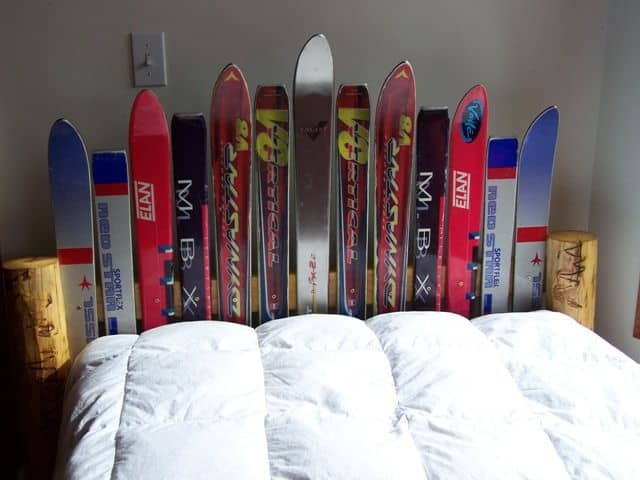 Collect around 6-8 skis and you’re on your way. 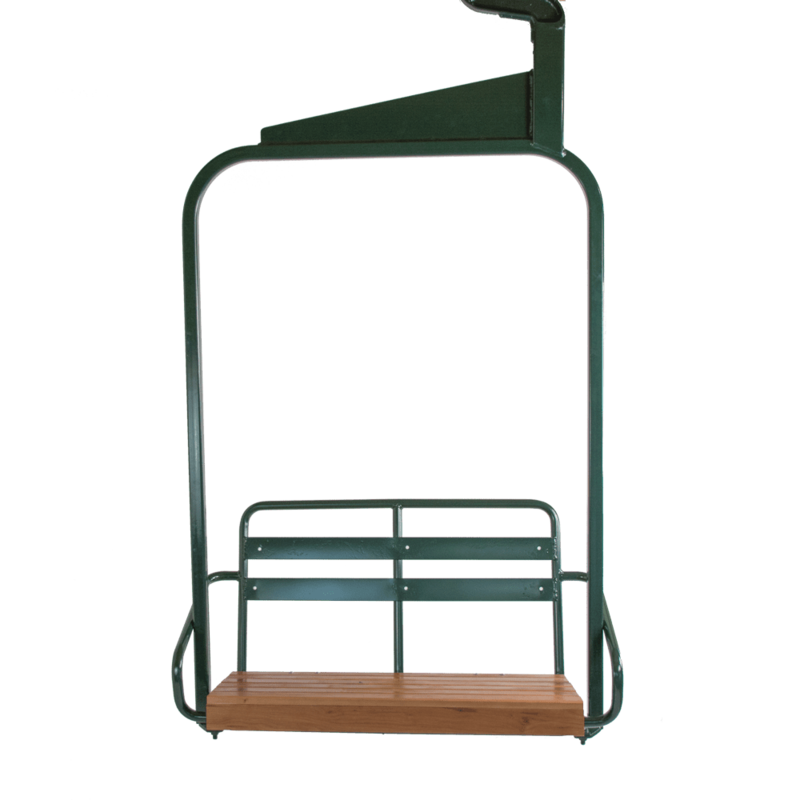 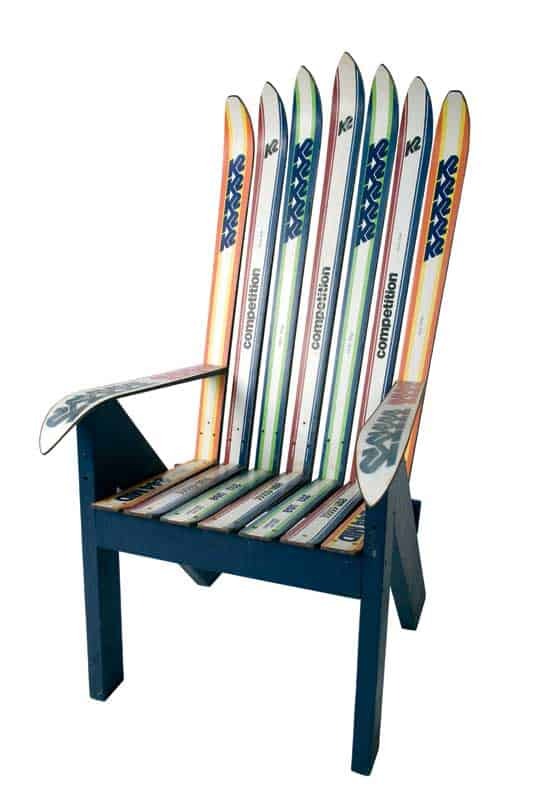 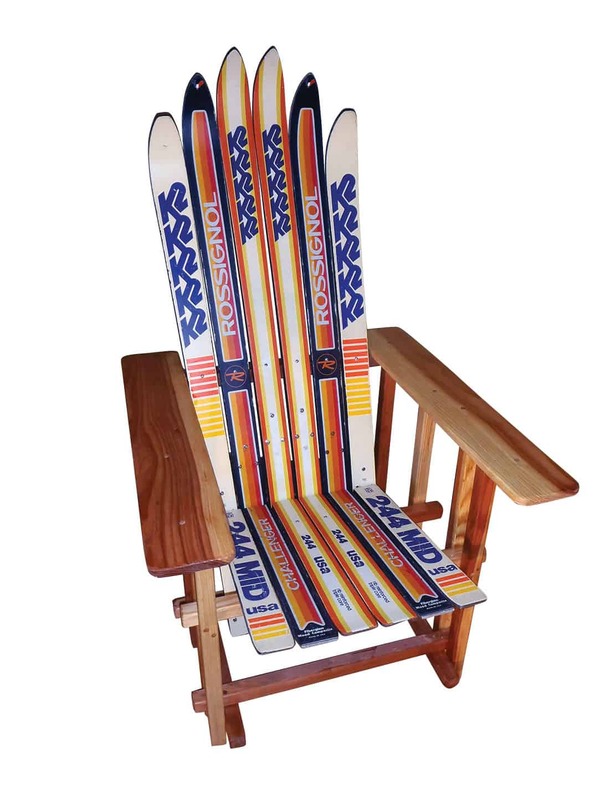 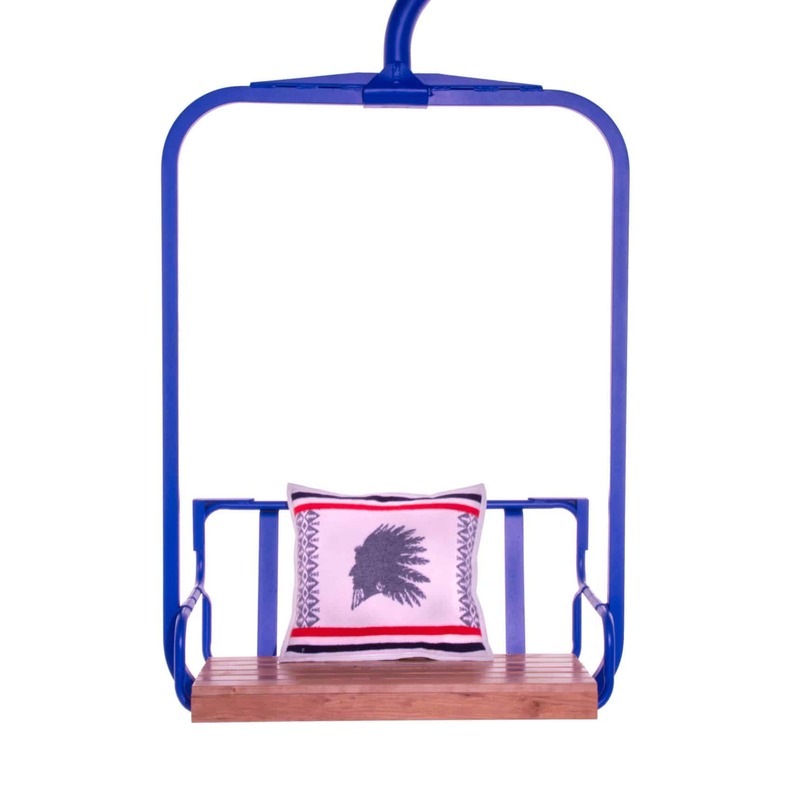 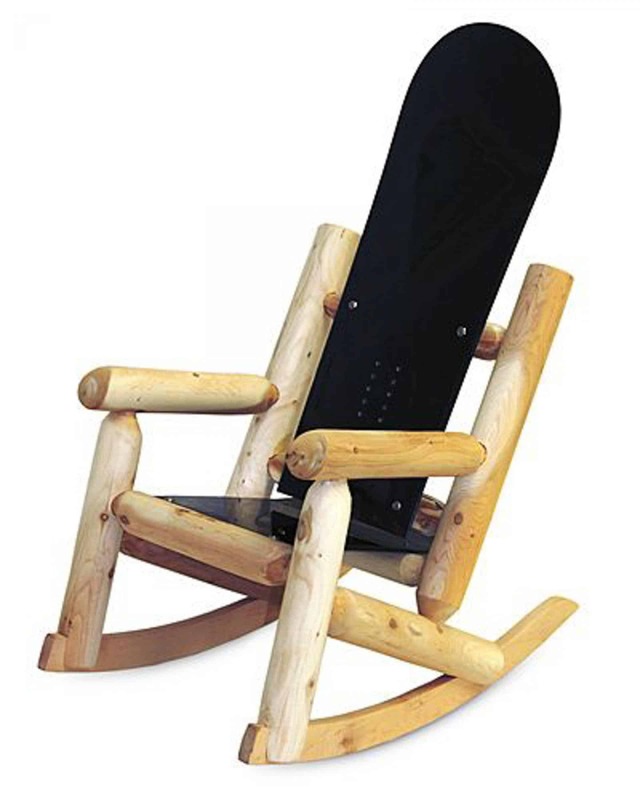 Ski chairs in the Adirondack style aren’t the most comfortable… stitch some old Rossignol beanies together as well though and you’ve probably got yourself a nice little pillow to match.